In this Paul Mitchell Shaping Cream Review I will take a look at what makes a good hair cream, and what makes the Paul Mitchell cream one of the best. The male grooming industry is booming nowadays. It is becoming increasingly difficult to find a young man that doesn’t have at least one styling product in his bathroom. 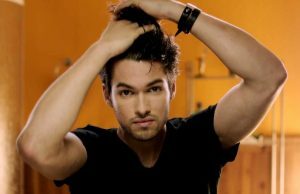 Men’s hair creams come in numerous variations, some have shine, some are matte, some are scented and some have no scent at all, but all are usually the middle-of-the-road types of hair products. They don’t offer the weight or gloss of wax and pomade, and they don’t have that dry powerful hold clay and fibers do. If you have thin, dry or brittle hair, creams are a nice way to create texture and also add a faint natural shine to your hair at the same time without tangling or damaging it with clay/fiber or weighing it down with wax and pomade. A good shaping cream should have strong hold. Hold – While you don’t want a product that will be too stiff and crusty, a cream with very little hold is essentially useless to your hair. Duration – These creams are designed for flexible styles that move, and won’t generally last all day, but some last longer than others. Still, you shouldn’t have to rework your hair within a few short hours, if you do, you need a longer lasting product. Reshaping – That being said, there is some variation on how easy it is to reshape your hair. Some products make this easier than others. Scent – If you don’t like the smell of a styling cream, move along. There are way too many out there to settle. Shine – The point of most creams is to not be apparent that you have product (or much product) in your hair by being too shiny. Your hair should just appear to have a healthy sheen. Ease of Removal – You want a product that washes out quickly and leaves no residue behind. Flakiness – Some hair products cause flakes (it can look similar to mild dandruff), but a good cream should not. 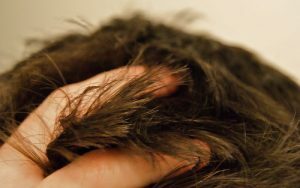 Greasiness – If you or your girlfriend cannot run fingers through your hair, a styling cream is no good. A little sticky or waxy feeling during application is to be expected, but it shouldn’t linger on your head or your hands. 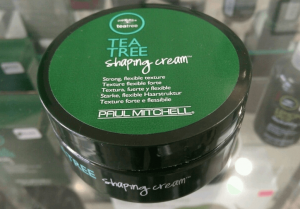 It took me a while to find one that I liked, but I finally did: The Paul Mitchell Tea Tree Shaping Cream. This cream is meant to thicken and strengthen your strands, allowing your hair to stay however you shape it. A popular product choice among men, particularly in America, it’s perfect for short hair that just needs a little styling. My own dark brown thin hair lies pretty flat, so I’ve used it to give my strands a little depth and volume. In addition to its styling properties, this cream is a natural one. Eco-conscious people will appreciate that it is free of parabens and safe for regular use on colored or dyed hair. It’s also vegan-friendly meaning it includes no animal products in its ingredients, ensuring that it can be used by anyone and everyone – and that no harm will be done to the environment or your health by using it. With ingredients like Australian Tea Tree Oil, Extracts from the African shea butter, Eucalyptus, Awapuhi, Jojoba, Aloe and Lavender, how can you go wrong? By including no chemicals and no dangerous additives, your scalp and skin are safe from damage or harm. 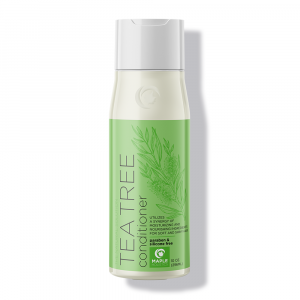 How does the tea tree oil within make a difference in this hair cream? Well, it is an essential oil that comes from Melaleuca alternifolia, or the tea tree. 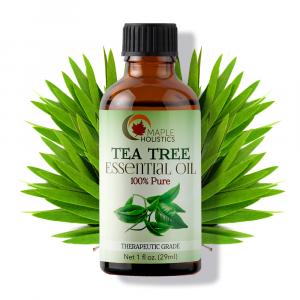 Tea tree oil has long been used as a natural aid in the prevention and treatment of maladies. 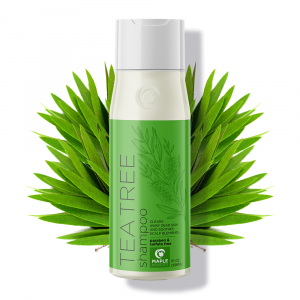 However, in this hair styling cream, the tea tree oil provides entirely different benefits and strengths. Rather than keeping illness at bay, the tea tree oil works to keep dandruff at bay and strengthen the efficiency and hold of the cream. Back to our product, it is a high end shaping cream that goes on very easily without clumping. It has a nice, natural scent from the tea tree oil. As most shaping creams it seems, it has a medium hold and low shine. It’s a bit waxy coming out of the puck- shaped container, but it goes on pretty easily. Most shaping creams are for fine or light hair, but according to a few of my thicker haired friends, this one can actually work on denser hair as well. Paul Mitchell, who has many products I like (the Paul Mitchell Tea Tree Shampoo being one of them), has really done it again with this light, easy to use styling cream. You need only a little bit to get the effect you want, and it washes out easily. The biggest upside of this styling product is the lasting hold you’re going to get out of it. But, at the same time, you still get movable texture as a result of the flexible compounds found inside every drop of this cream. The key words here are movable texture. This tea tree shaping cream keeps your hair in shape while still allowing separation between the strands. Mesh-like fibers in the mixture create pliable definition, meaning that the cream is specially formulated to let you run your fingers through your hair while maintaining your shaped style (and not getting them greasy). Your date or significant other will surely appreciate this, especially since the product does not cause any unsightly flakes to fall off your head. When this hair cream dries, it has a matte finish that gives you a clean, dry look. Unlike other creams that look greasy, crusty or slick, Tea Tree Shaping Cream doesn’t look like you added a bunch of product into your hair. Because of the separation that is maintained when using the cream, your styled locks have a diffused shine. In fact, using this product may make your hair look more natural than using nothing at all. On top of all the chemical benefits of the Tea Tree Shaping Cream, there are the expected benefits of the great smell and invigorating feel of tea tree botanicals! Application: You only need a little of the cream to get your hair to shape into the style you want. If you use the product while your hair is wet the cream will leave a semi-shine on your hair after your hair dries, but if you use it while your hair is dry it’ll just leave the matte finish. The cream doesn’t take much effort to rinse out, just wash your hair normally at the end of the day and it will come out with no residue left over. Just be careful, the first time I used it, I ended up washing it out almost immediately because I used too much product (about a large coin-sized dollop). It can be very heavy on fine hair, so go easy. A little bit goes a long way. Use just on your tips, don’t go down to the roots (this isn’t shampoo). Take a small amount out and put in hand and dab from there to fingertips. Adds flexible texture and definition: When applied to your hair and shaped into place, the cream conditions each strand of hair, giving it greater volume and stability, with a nice dry coiffed look retaining flexibility for styling. Natural Ingredients: The cream is made up of more natural ingredients than most shaping creams/gels. This increases the nutrients your hair and scalp receive, which in turn can prevent dandruff and lead to a softer, healthier scalp. Non-waxy and non-greasy: Many hair styling products leave behind a waxy, slick residue that coats the hair; this nifty cream doesn’t. Instead, this product can give your hair a healthy sheen without it looking or feeling greasy. It keeps your hair light and free of added weight, and won’t leave a messy residue on your hands after application or anytime you run your fingers through it. Concentrated: Sometimes, hair products are weak because they’re diluted and watered down to the point of being runny, ineffective messes. Tea tree shaping cream, however, is well concentrated. It is a thick, smooth cream that does nothing to dilute its ingredients, meaning it can give you the best hold and strength possible. Doesn’t cause your hair to harden: A major problem with shaping creams is they’re stiff, crackly, and dry texture hours after application. Instead of leaving your strands feeling like they’ll break, tea tree shaping cream holds hair in place without leaving an unnatural stiffness behind. Your hair will keep its shape and position, but still feel soft to the touch. 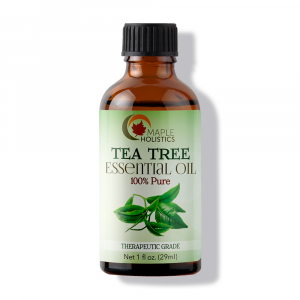 Great Scent: The cream’s Tea Tree scent is fresh and pleasant. It isn’t overpowering or lingering like some other products. Easy to reshape: If you choose to reshape while you have the product in your hair, it is very easy, all you need to do is wet your hands a drop. Washes off Easily: Leaves behind no gross residue whatsoever. Duration is not the best: The shaping effect, though not bad at all, doesn’t last as long as some other shaping creams, and will last even less if you are walking outside on a windy day. Relatively expensive: compared to other creams, at around $15, this is on the higher scale. Best suited for short haircuts: This cream is less effective with longer hairstyles, because it just does not have the strength to hold it together like some other fiber/clays. Must be used in small amounts- Too much can leave your hair feeling very heavy. Due to the nature of my job as a product reviewer, I’m used to switching brands on a regular basis. However, there are a few that always seem to stick with me – whether they’re personal favorites or if they simply left a good impression, there will always be those who stand out. So, ever since using the Paul Mitchell Tea Tree Shaping Cream, my opinions haven’t really changed much to be honest. In my opinion, it’s still a great product, with great results and reasonable pricing. I generally have at least 3 hair gels, waxes or creams in my bathroom regardless of the product I’m reviewing, and so far the Paul Mitchell Tea Tree Shaping Cream is a steadfast addition to my collection. I don’t use it too often, so it tends to last quite long. However, even when I do run out – I always make sure to replace it with a fresh containers worth. I’m really grateful that they haven’t changed the formula since the products origin and it’s largely why I fell in love with the product in the first place. So to give you my honest opinion with regards to my update on the product is that it’s still the same product I fell in love with when I first used it. My hair holds well and doesn’t feel unnaturally stiff or uncomfortable and the product seems to hold for long periods of time. One application of the gel in the morning will easily get me through a full day (without rain, swimming or showers of course) without fail. 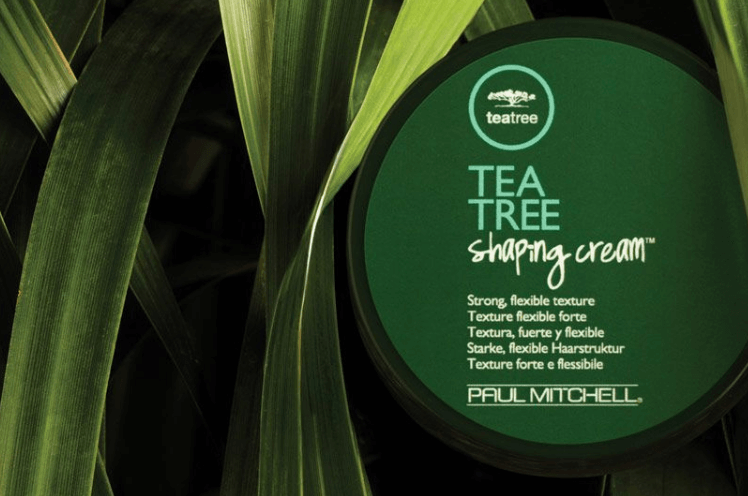 Paul Mitchell is a really well-trusted brand, so you can be sure that you’re getting your money’s worth when you invest in the Tea Tree Shaping Cream. Thanks for stopping by here at Maple Holistics – learn about Orange Essential Oil and Catwalk Tigi Fashionista Shampoo before you go! It works on thin, thick, curly, and straight hair that is cut short. If you can get over the price, this may just be your go-to styling cream. The benefits far outweigh the downsides in my opinion. This natural ingredient versatile styling cream gives you a strong hold without weighing your hair down or looking like it even has product in it. Providing a nice matte finish and flexible hold that shifts as you shape your style, Paul Mitchell Tea Tree Shaping Cream offers movable texture and separation allowing you time to manipulate your hair until you have achieved your desired look. I know I’ll be sticking with it, how about you?